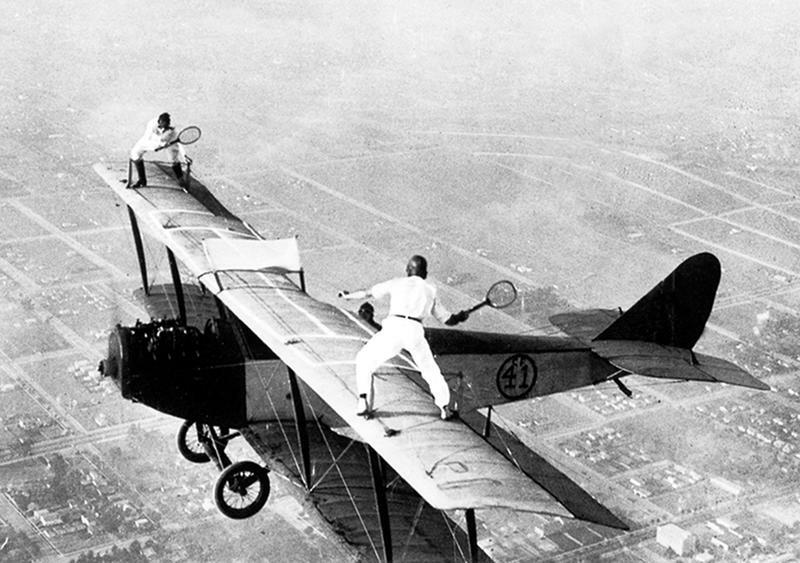 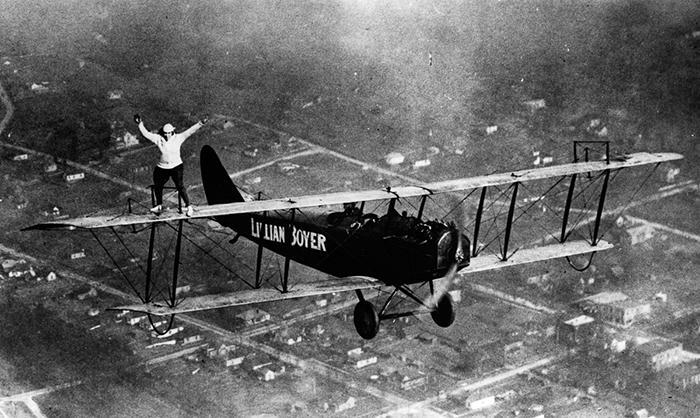 It wasn't long after the Wright brothers made their historic first flight that daredevils began doing death-defying stunts on, over, and below flying airplanes. 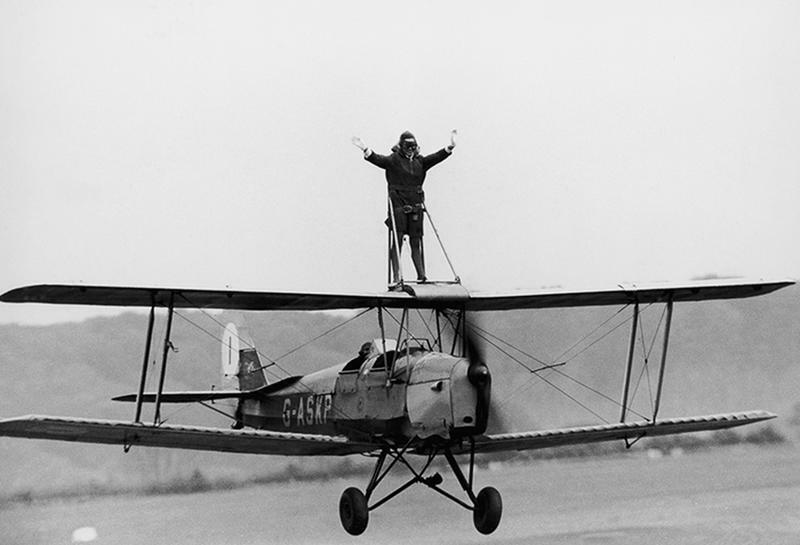 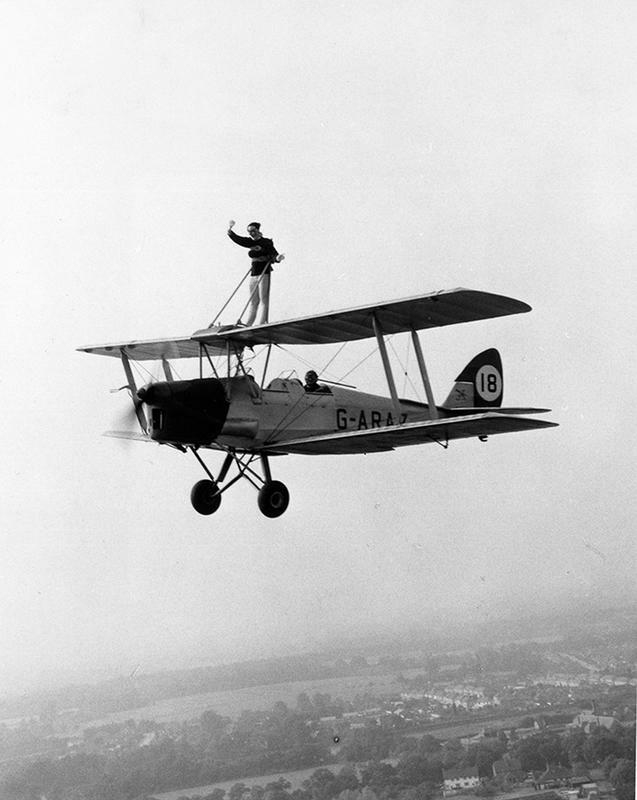 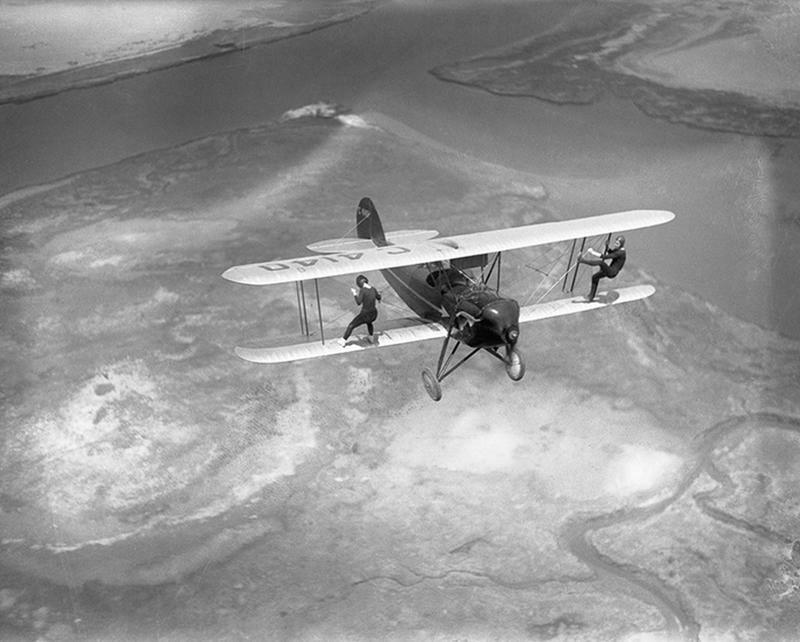 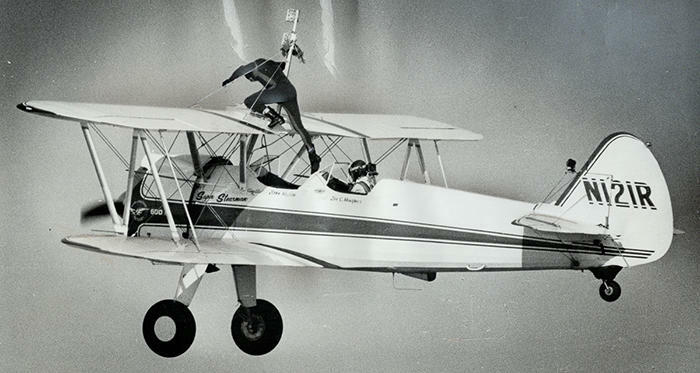 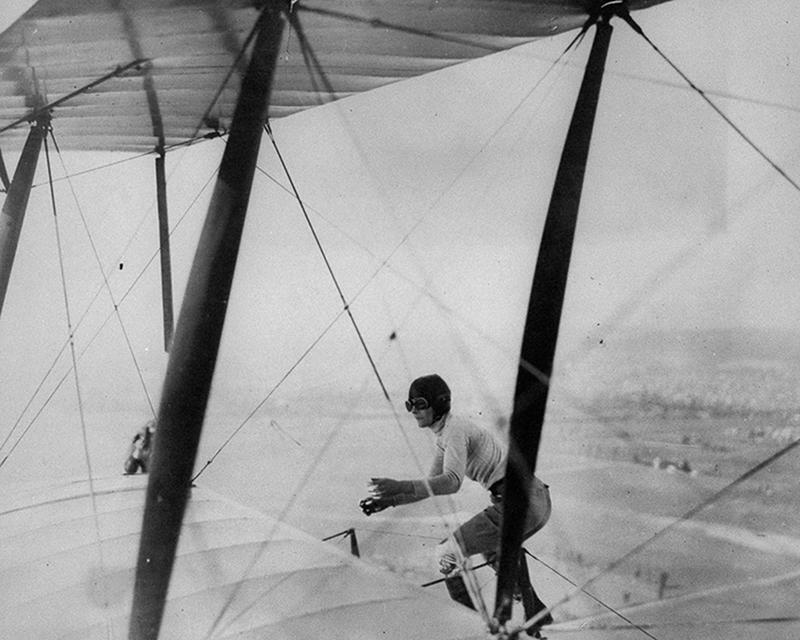 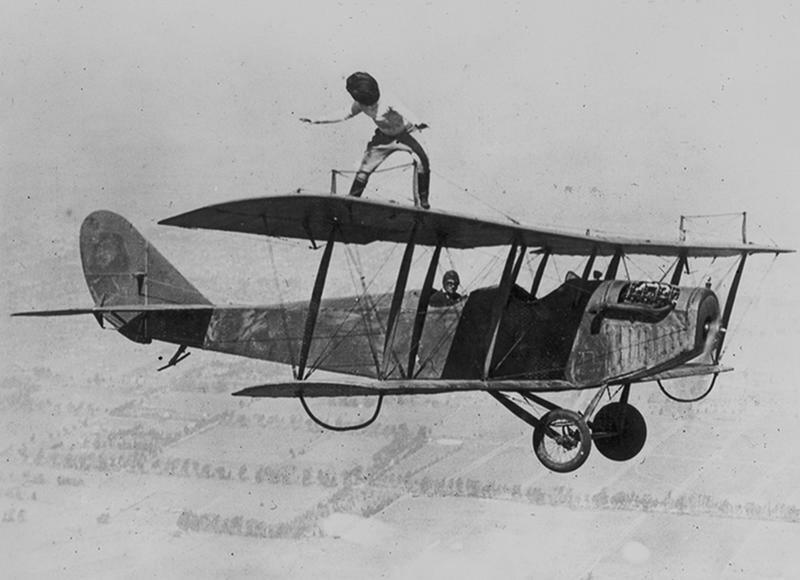 The first known instance of wing-walking was when someone tests a particular model for lateral stability by walking along its wings in-flight. 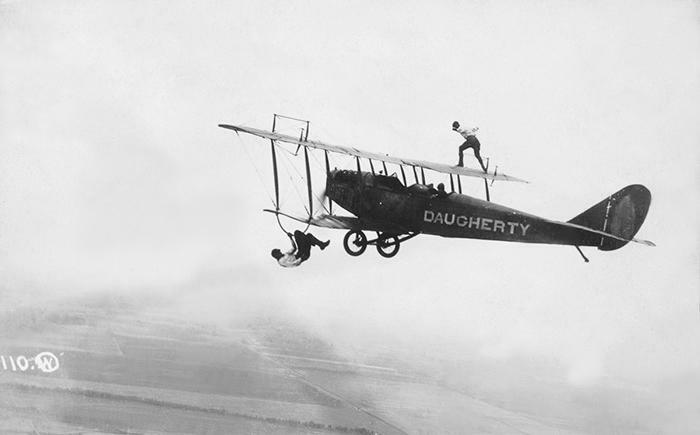 It was done quick and fast, no entertainment factor involved. 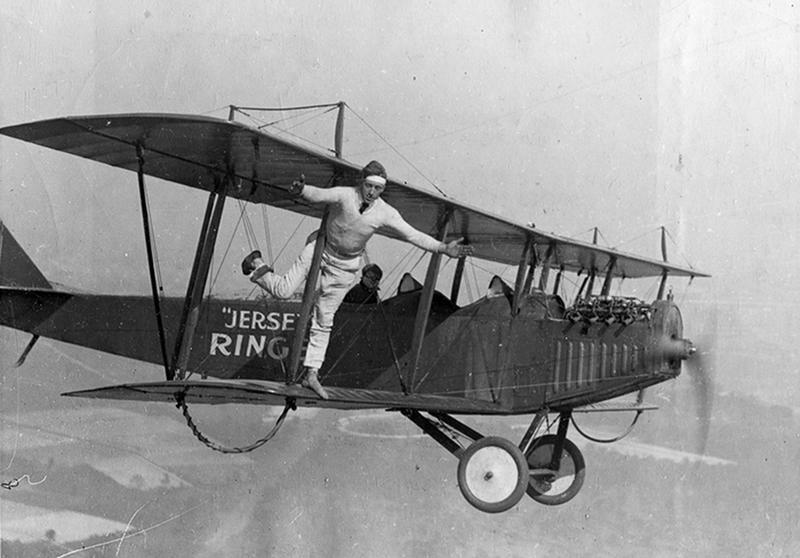 But when U.S. Army Air Service Pilot Ormer Locklear, who had a habit of walking out onto the wings of his aircraft to make in-flight tuning and adjustments, parlayed his balancing talents and flying skills into a more lucrative circus career, the wing-walking stunt business started to take off. 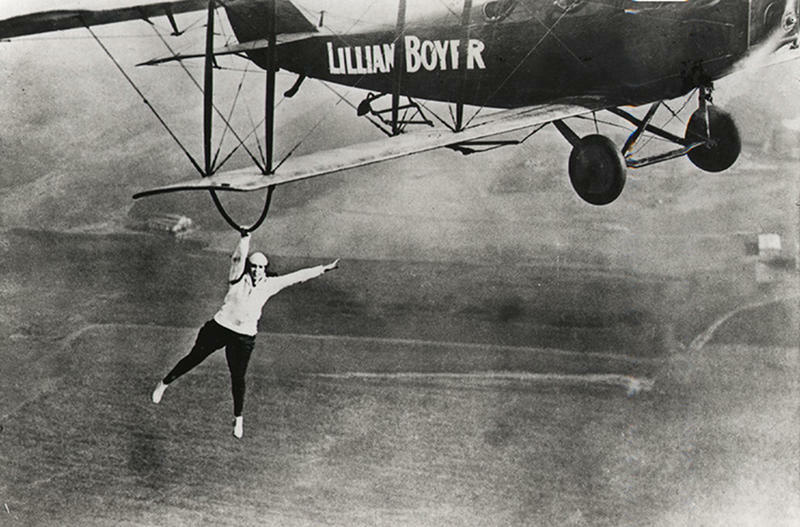 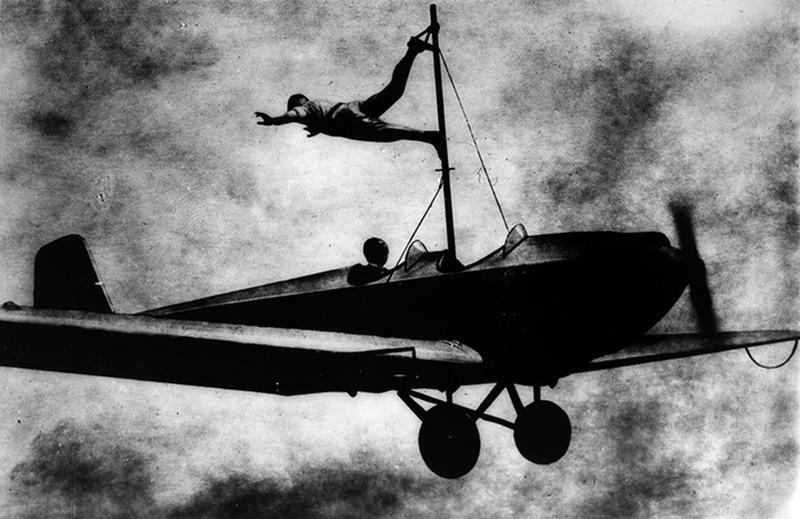 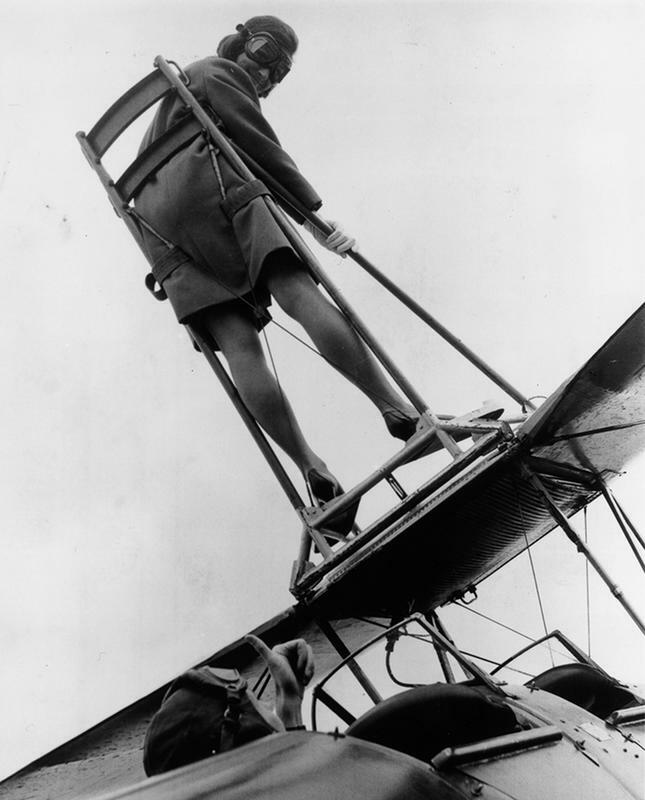 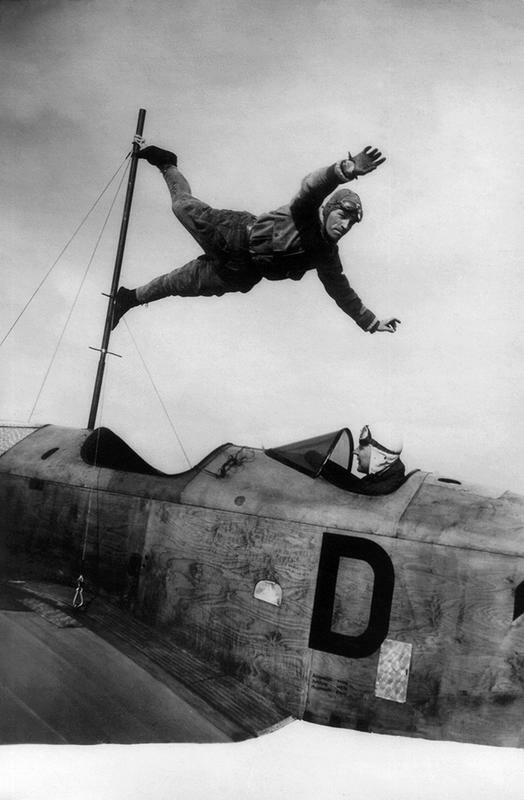 Men and women in surplus World War I biplanes dazzled crowds with their risky stunts, like plane-to-plane transfers, handstands, dangling by teeth and more, each performer trying to one-up the others.